My name is Jenifer Band, co-founder of Autism Awareness Shop, Inc., Vice President of We Rock for Autism and the proud mom to a wonderful teenage son with autism. Cody, my inspiration for this business, was diagnosed with autism in 1999, at age 2. As every family with a child with autism understands, milestones and transitions can be overwhelming and challenging, but this transition into adulthood may be the most daunting of all. It has been referred to as “falling off the cliff”, when our kids age out of the school system at 22 years old. At that age, all young adults with autism are essentially left without support. There is little to no training available to them & job prospects are dismal. It’s a scary situation for kids and their parents. 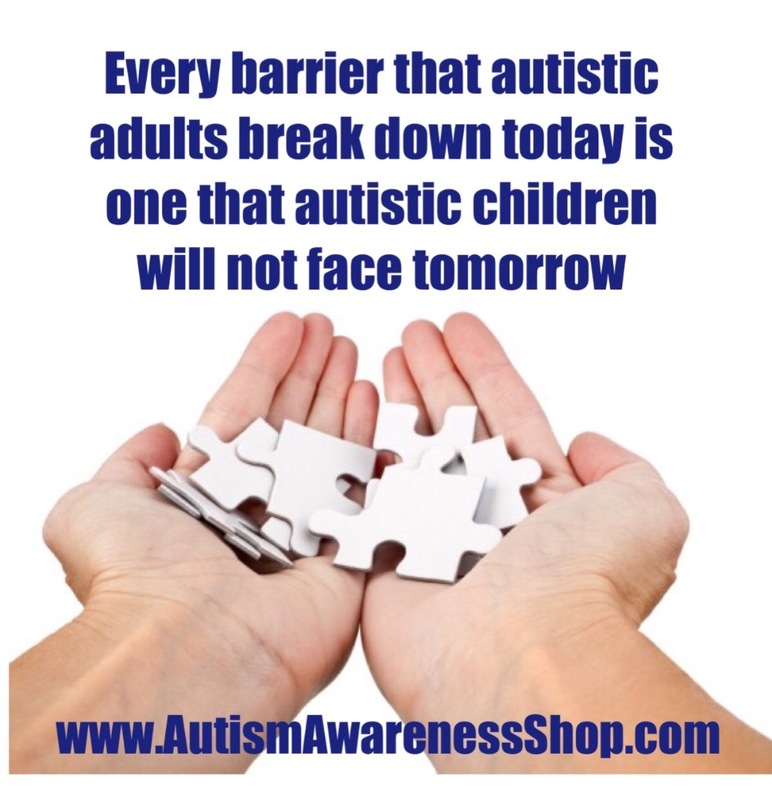 That’s why we are so passionate about our “Autism Awareness Shop.” It is our goal to provide jobs and job training for young adults with autism in a new brick and mortar store and training center. My husband, Scott, and I started an online business, Autism Awareness Shop, several years ago with the intention to create a job for Cody when he completed school at age 22. 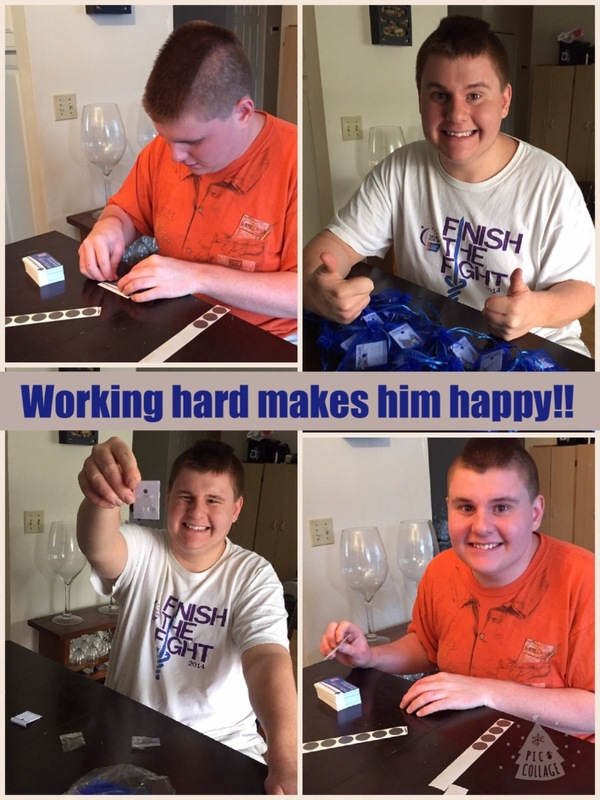 Our now successful online business, selling autism awareness merchandise, has essentially allowed us to see huge potential and lead us to a greater dual objective: To open an adult vocational training facility for individuals with autism that is physically attached to a brick and mortar thrift store which will provide onsite on-the-job training opportunities. The store will also provide gainful employment for those with autism. This venture will be completely non-profit and all profits from the thrift store will be used for the training facility and to open additional facilities in the future. We are currently completing the process of establishing our 501(c)3 status and all donations will be tax deductible. We have everything in place to succeed with this critically needed venture and the experience to do it. I have been providing occupational therapy services in both public schools and private clinical settings for the last 10 years and was an instructor of occupational therapy prior to that. My husband and I both have extensive business experience running the Autism Awareness website and a separate business run by my husband. Additionally, we have formed a fantastic well-educated, well-trained and dedicated board of directors with a combined 75 years experience in special education, management, sales, marketing, and finance skills. All are dedicated professionals willing to put in whatever is necessary to help us become success that we know we can be. We want to turn the future for these kids into something that can be anticipated with excitement and promise! To give them security and the life they deserve. YOU can help us do just that. Won’t you join us on our journey? No donation is too small and we guarantee whatever you contribute is not only greatly appreciated, but will help build a future for wonderful young people with autism. You can help change lives. We are trying to get the word out about the Autism Awareness project to as many people as possible. Please help us and tell everyone you know about us…Please share, share and share again.